Guests under 18 years of age are welcome to join us as long as they abide by the terms of the OvRride Age Policy, and we are aware of the underage guest. Please fill out accurately, as this information will be used to secure flight and/or other international reservations. A lot of people think about the Rocky Mountains, the Sierras, or the Alps when they think about significant snowfall. The snowiest resort on the East Coast is happy to roll with its low profile and high snow totals (more that 350″ of annual snowfall). 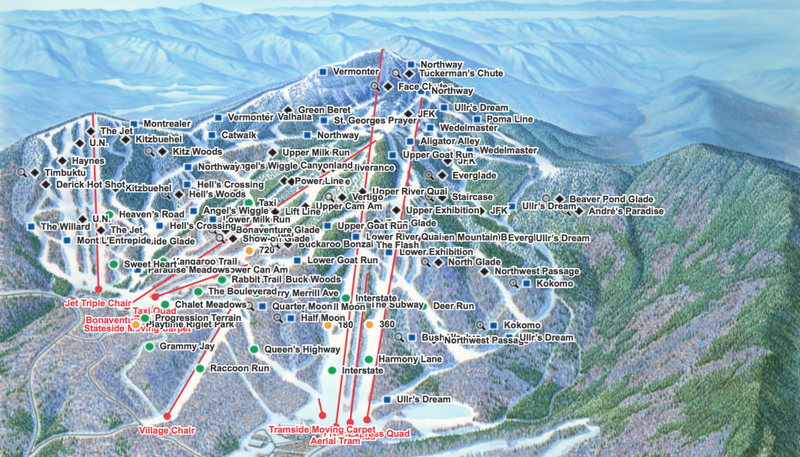 Perhaps you need to be introduced to Jay Peak Resort. Yea… that’s more snow than the mighty Colorado Rockies’ pride, Vail Resort generally sees in a season. No joke! Oh, did we mention that a storm blew on on April 15th and dropped another 7″ of snow on top of their already impressive spring base? Oh… did we mention they opened The Pump House, an on-mountain indoor water park complete with water slides, wave pool, surf pool, and a lazy river?!? There’s definitely a reason to be proud of the East Coast snow scene. With more than 20 glades and chutes, Jay Peak offers the best tree-skiing in North America. Vermont’s only aerial tram transports up to 60 skiers and riders to the summit in just 7 minutes while the “Flyer” is the longest (7500 ft.) and fastest quad chair lift in the East! Now get up to Jay Peak and represent!